Looking for something really exciting, I wanted to spend my day in sheer fun and happiness. Not brainstorming much, I went to the Celebration Mall Udaipur. The Celebration mall has emerged as a one-stop destination catering to a variety of utilities; from eateries to fashion and fun zones. Children, as well as adults, can have a gala time in the mall. Eat your favorite food, shop the latest trends, watch the latest movies and have fun like never before. I came across some of the uber-cool and new openings at the mall that certainly made me chilling on a hot summer day! 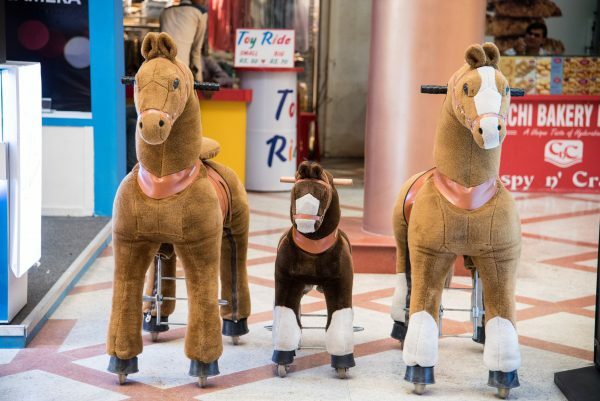 These new additions to the mall are the fun attractions and many might not be aware of these. Let’s have a look at them. Feeling the need to go to a Hill station?? Summers are hitting hard, what can be more joyous than playing in natural snow having the comfort of not even leaving your city! I certainly had to go here! It was hot day and I wanted my escape. The Snow Park in Celebration Mall is the best time to spend a perfect summer day. 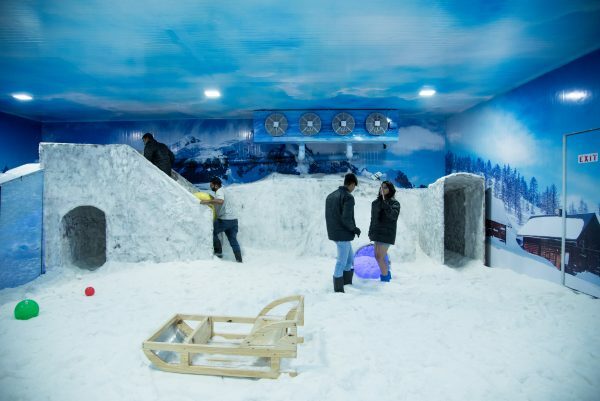 The main points of enticement on the Snow Park are the snow cave, sledges, snow slide, igloo, snow cave, snow hut. 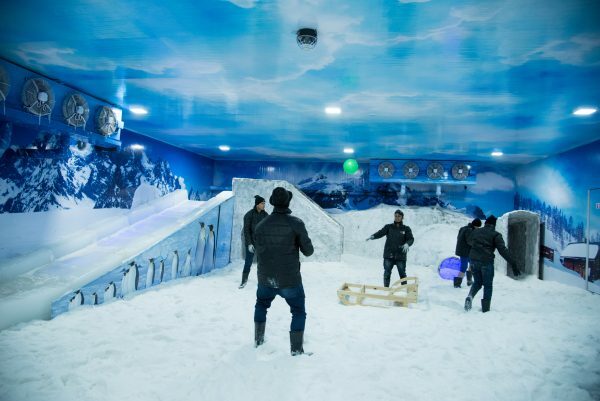 Apart from this, you can even throw a party in the snow! Maintaining a constant temperature of -5 degrees, one can enjoy a full 30 minutes in the Snow Park. I could also spot the game and entertainment zone at the Celebration mall. 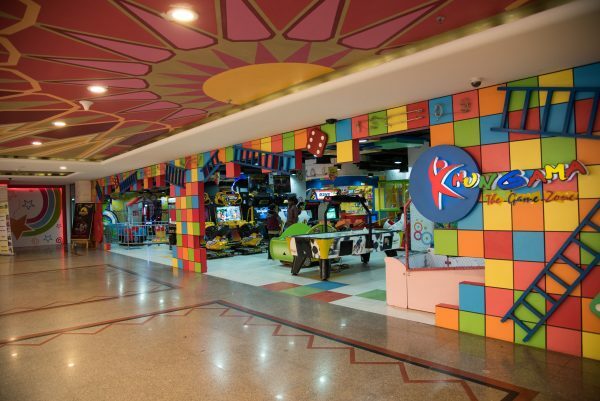 If you are thinking too hard about taking your kids out, then Hungama Game Planet is the answer. From a Horror House, Video Games, Bumping Cars, Vending Games to so much more. There are also some redemption games included in the Hungama Game Planet, in which, when you make a required score, you are provided with tickets to redeem fabulous gifts. Well I got myself some surprise goodies!! The next best thing in the entertainment zone is the Hungama 7D which is a part of Hungama Game Planet. It is one of the best sections of the Hungama Game Planet and you will surely love it! The Hungama 7D Cinema includes rain, wind, strobe lights, and vibration effects. There are various other fascinating effects that the audiences are subjected too. 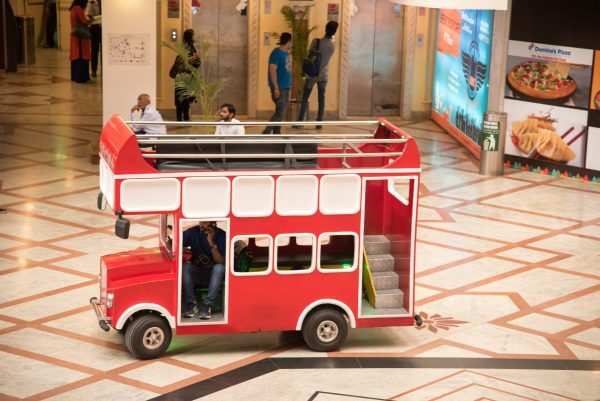 Apart from these, the kids can enjoy Pony Rides and London Bus ride on the atrium floor of the Celebration Mall. My inner child too wanted to ride one, but yes I wasn’t allowed to! Haha! There is also a Panda Train on the second floor which is of great enthrallment for the visitors in the Mall and there, I could fulfill my desire to ride the panda train! So if you are looking for a great time, the Celebration Mall is around the corner. 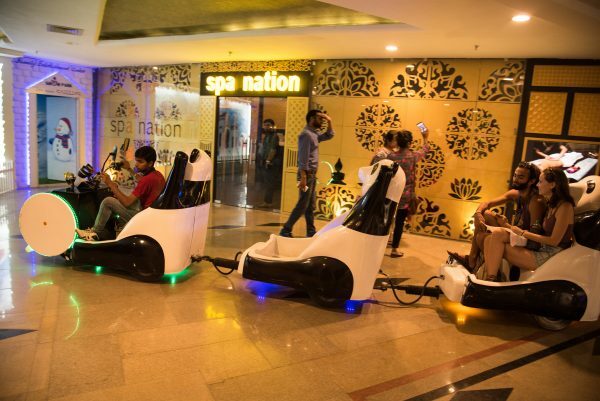 The Celebration Mall Udaipur is a wholesome destination offering you a variety of amusements for your leisure time. Enjoy your weekends at the mall with your friends and family and let out the child in you! Previous articleUrban Square: The Largest Mall of Rajasthan coming in Udaipur! It is not at all worth Rs400, there is no real snow at all, Its all mashed ice. It should be named ‘ICE PARK’. The area is very small, even the slide is too small and all wet. The clothing provided is not efficient. The floor is too slippery to walk. Igloo is too small to get in. And snow man is just hilarious! Waste of money and time!! 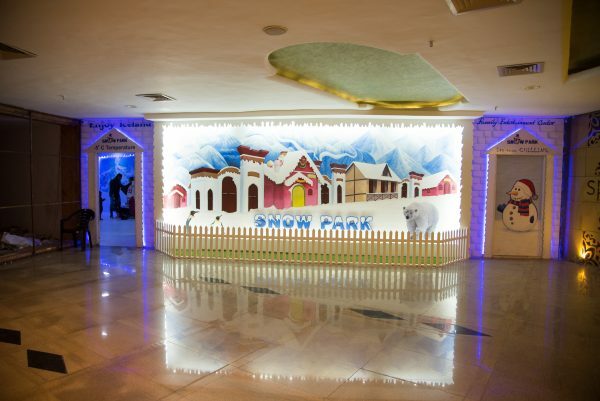 Save your money and avoid snow park udaipur! !